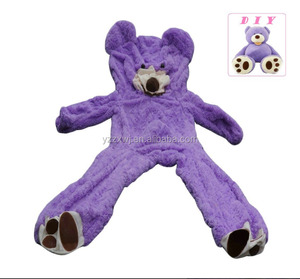 free sample gaint big size unstuffed bear skin unstuffed plush animal skins soft animal bear toys skin free sample custom unstuffed plush big bear skin CE Plush unstuffed Giant Huge Bear Plush Animals giant teddy bear 200cm skin Name plush toys Material High quality plush, stuffed with 100% pp cotton Size 300CM Standard as pictures, or other size according to custom requirements Color Standard as picture, or According to customer color number Brand zhongxi MOQ 300 pcs negotiable Standard EN71-1,2,3, ASTM F963, CPSIA, AZO free, and other safety standards Packing As our usual polybag/ctn, other packing requied also can be made Carton Size Standard 63*45*58cm, or other sizes according to custom requirements GW Less than 15kgs/carton to make it more convenient for transportation Custom Logo Printing, Embroidery OEM / ODM Welcome Sample time 3-5 days Delivery time 30-45 days, according to order quantity Loading Port Shanghai, China Payment TT, L/C, Paypal, Western union (30% deposit in advance ,after confirmed order,balance payment before shipment). : 24kgs/22kgs 6. 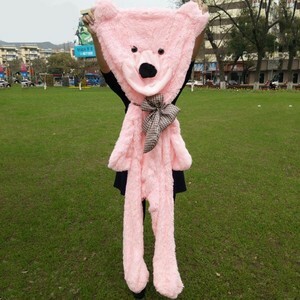 Sample time and delivery time: 3-5days sample time and 20-25days delivery time 7 . 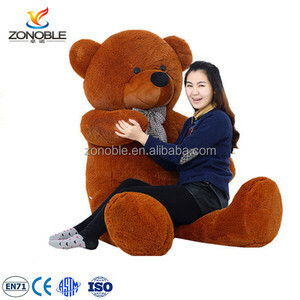 Customized toys pictures could be provided for checking Other Products 1. Many years professional design team, advanced technology and equipment. 3. High quality, reasonable price and best service. : 20KGS Material View Testing Report Factory &Process Packaging Welcome OEM. 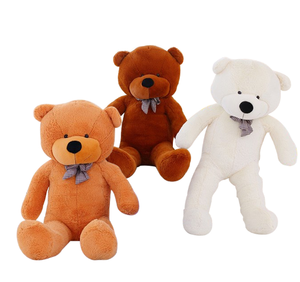 We can supply all kinds of plush toy and various promotional gifts . 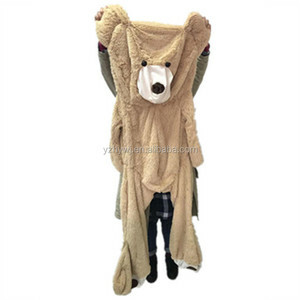 DOLPHINE we are specialized in various kinds of plush toys, scarves and promotional gifts. 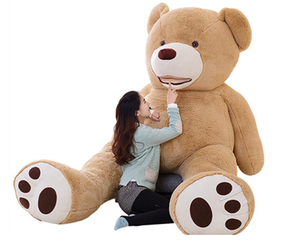 Q2: Can you do custom toys9 A2: Yes, we provide custom service, professional designers and skilled workers are there in our factory. Q3: What's your production time9 A3: Commonly it takes about 7 days to make a sample and bulk order above 1000 is about 25-30 days. Q4: What's your advantage9 A4: High quality products, Professional designers and skilled workers, in-time delivery and best service. 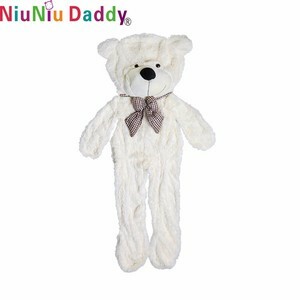 Hangzhou Tian Qu Trade Co., Ltd.
Alibaba.com offers 415 big teddy bear skin products. About 77% of these are stuffed & plush animal. 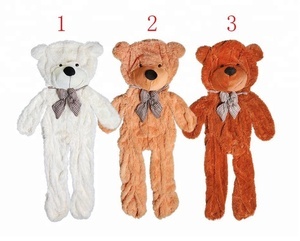 A wide variety of big teddy bear skin options are available to you, such as free samples, paid samples. 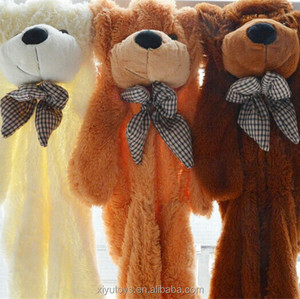 There are 335 big teddy bear skin suppliers, mainly located in Asia. 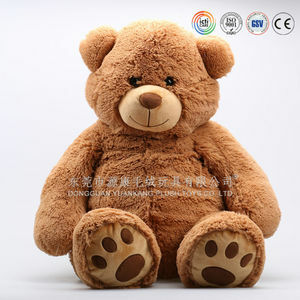 The top supplying country is China (Mainland), which supply 100% of big teddy bear skin respectively. 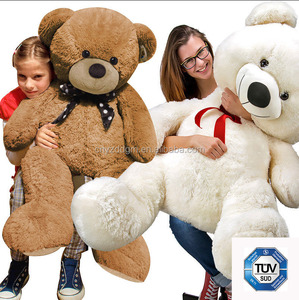 Big teddy bear skin products are most popular in North America, Northern Europe, and Eastern Asia. You can ensure product safety by selecting from certified suppliers, including 27 with Other, 14 with ISO9001, and 2 with GSV certification.